In our recent post, Use the New Search Filters on MilitaryByOwner!, I shared how I used the new search filters to help create a list that I called “Homes in San Antonio” to help my military family begin the search for a home at our new duty station. We’ll PCS later this summer, so I wanted to get a good idea of what options were available now before we go for our house hunting tour later this month. As we’re getting a little closer to the house hunting now, I want to whittle down my search a bit more, so I’ll show you how I used the search filters to find homes that better fit our needs. We’re only going to have a short time to visit the area, so I want to make sure that my house hunting list is manageable! If you’ll notice from my previous post, I haven’t selected any of the usual basic search options, such as the number of bedrooms and bathrooms. Those are available through the search filters, but since there’s just the three of us, I’m less concerned about those and more interested in seeing what kind of special features I can find for our home. I know there are a lot of golf courses in San Antonio, so I’d like a golf course view. 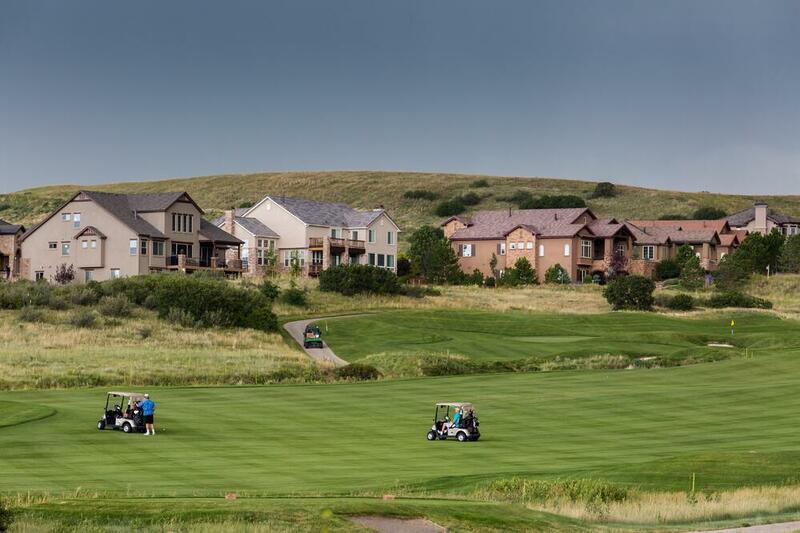 In Dawn’s recent post about golf course homes, she shares that homes on golf courses aren’t just for golfers. I’m not a golfer, but I like the peace of golf course neighborhoods, the added security, and the extra amenities that golf course neighborhoods have, such as pools and tennis courts. Unfortunately, when I select “Special Features,” the golf course option isn’t available. When I change a couple of my parameters, such as the age of the home, I see that there is one beautiful home on a golf course available in my price range. Unfortunately, the map shows that it’s a further commute than my husband would like, so I’m going to look for something else that will make our home special. Before I make any changes, though, I save this search. Just above the list of houses, there is a fill-in-the-blank box where you can title and save your search. I call mine “Golf Course Homes in San Antonio.” New homes are added every day, so when one meets my criteria are added, I’ll be able to easily find them under my saved searches. I just have to remember to log into the website. I know that I really want a home office, so under “Listing Features,” I select the option for “den/home office.” I’ve now brought my home search down to seven homes. That’s much more manageable! Each of the seven homes is in a different zip code, so now I’m going to find which homes are located in the zip codes where we’re interested in living. A good way to identify your preferred zip codes is to check out school districts and then locate those on a larger zip code map. I find three homes that meet my needs, and I make sure to save this search before sending a quick message to each homeowner to see if their home is still available for sale! When you’re searching for your home, you can also search by square footage, the number of parking spots available, and home type. For instance, you may want to find a condo, a townhome, or a single family home. You can also choose whether to search for a home that is listed by a military homeowner or one that’s listed by a real estate agent. Make sure to play around with the search filters until you find the home that’s a perfect fit for your military family. We can’t wait to hear what home you find for your family! Need information on VA Loans? Click below!